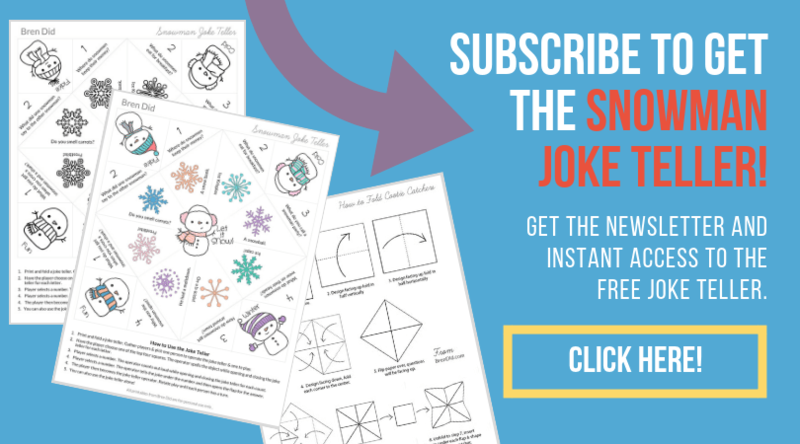 Snowman joke tellers are full of silly snowman jokes that are perfect for elementary school students. 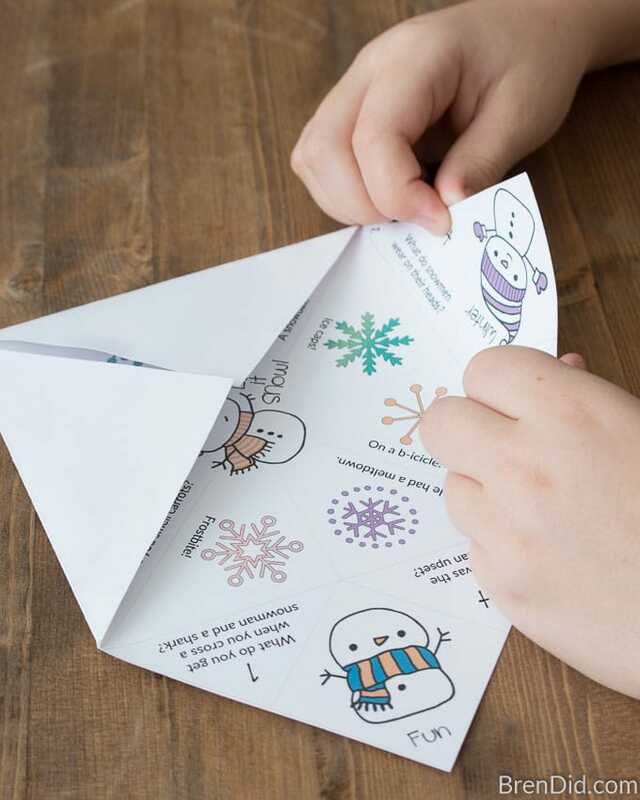 Grab the free printable for a fun winter party or a simple lunch box treat! 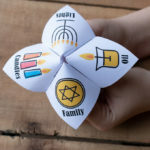 Joke tellers (sometimes called cootie catchers or fortune tellers) are a fun folded paper craft that have been around for ages. I remember making them with my friends in elementary school and they still delight kids today. Maybe it's the cute graphics, maybe it's the way that a sheet of paper transforms into a 3-D game, or maybe it's just the corny jokes. My kids cannot get enough of silly joke telling. They love telling me new jokes they learn and even text their favorites to my sister (who lives in a different state). Another thing I love about joke tellers? They are the perfect treat for kids! They can be made in just a few minutes. 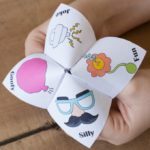 This winter I decided to combine my love of goofy jokes and paper crafts to bring you this silly joke teller. 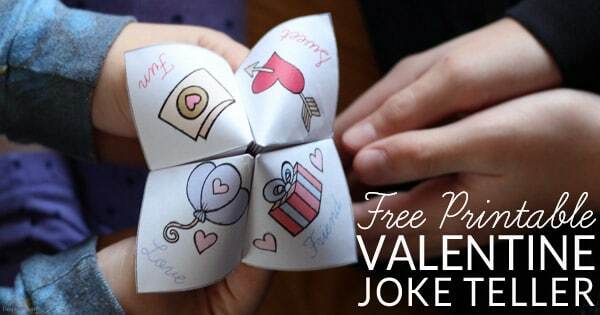 It is filled with eight silly snowman jokes that kids love. What did one snowman say to the other snowman? Do you smell carrots? Where do snowmen keep their money? A snow bank. What do you get when you cross a snowman and a shark? Frostbite! Why was the snowman upset? He had a meltdown. What do you call a snowman party? A snowball. How do snowmen get around town? On a b-icicle! Click Here to get the Snowman Joke Teller! Making joke tellers is as easy as 1, 2, 3! Print the file on matte photo paper for extra bright colors (it is also extra sturdy). 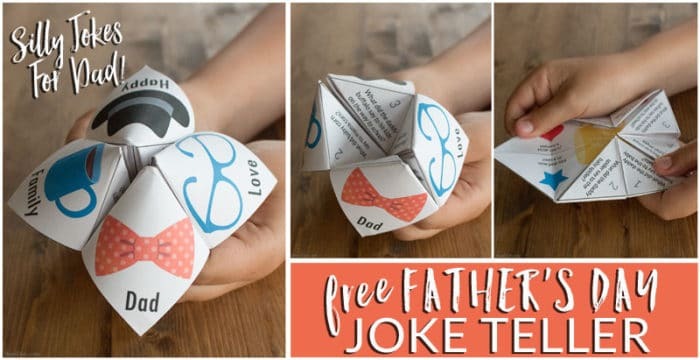 Fold and start your own family tradition of silly holiday jokes! Snowman joke tellers are popular with teachers and room parents who don't always have access (or the budget) for color copies. 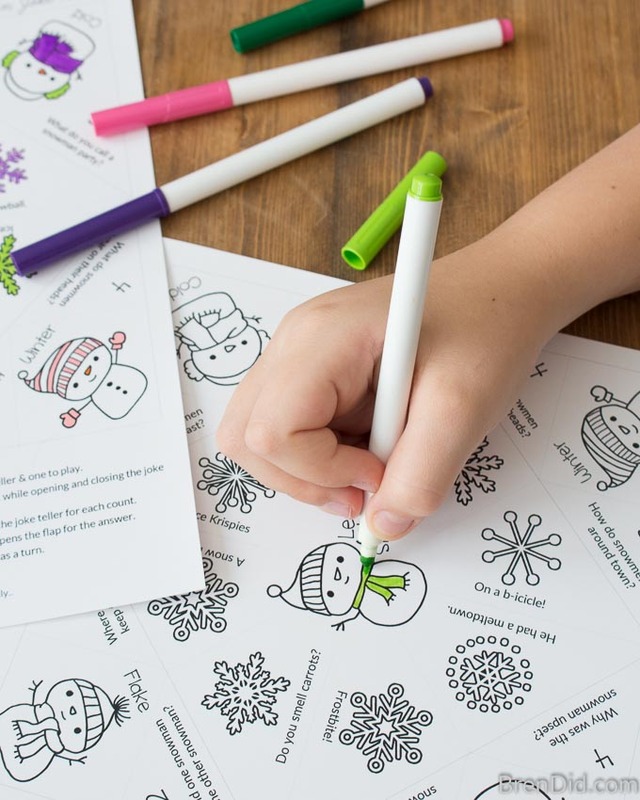 This black and white version can be printed for kids to color. It contains the same fun jokes and graphics! Grab the black and white version and folding instructions here. 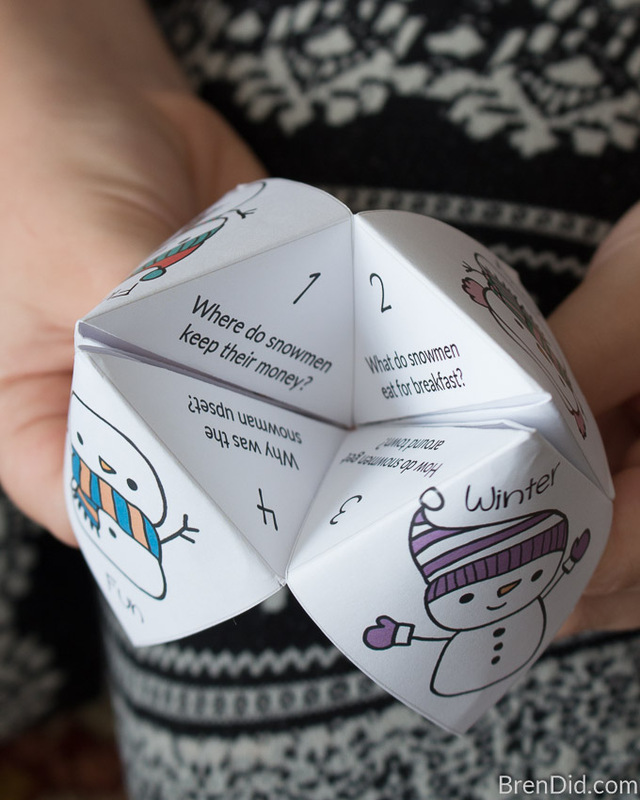 Use these snowman joke tellers at a winter classroom party. 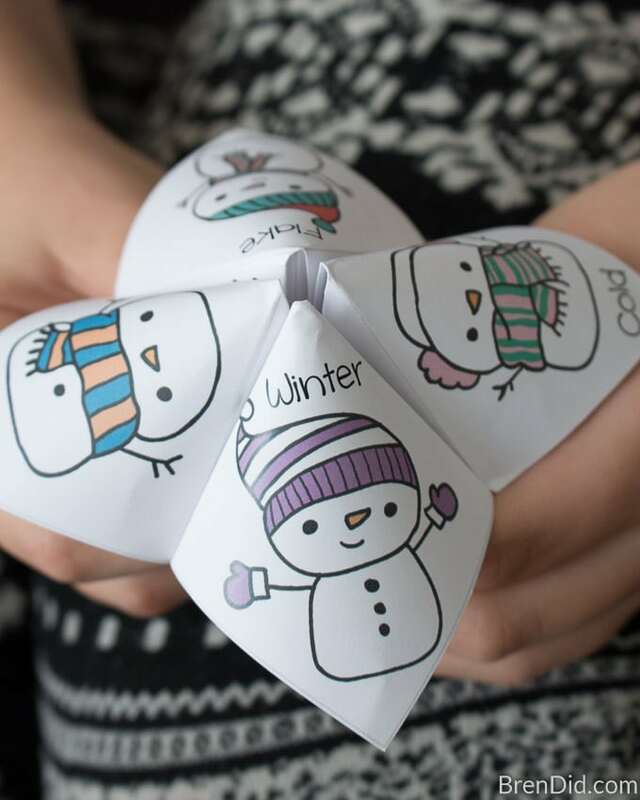 Many elementary schools prefers winter party ideas instead of tradition Christmas party or holiday party activities. 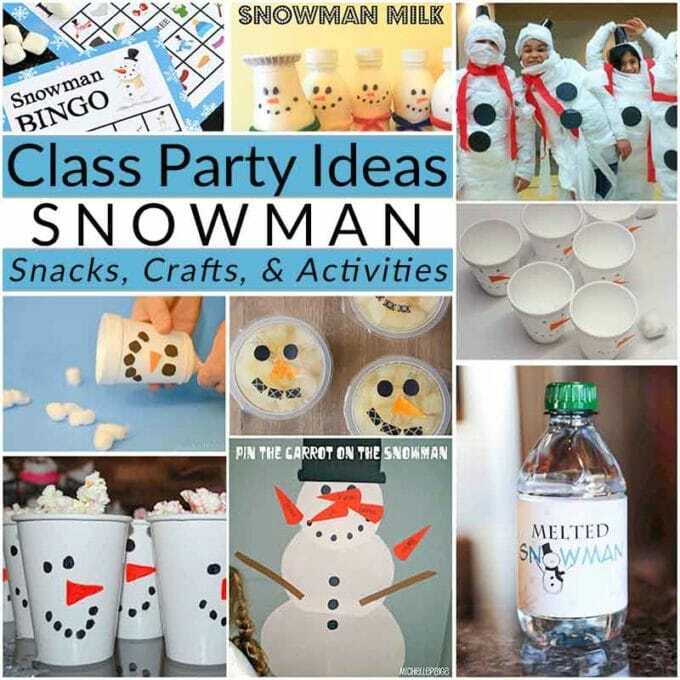 Use these snowmen ideas for a fun and festive theme! 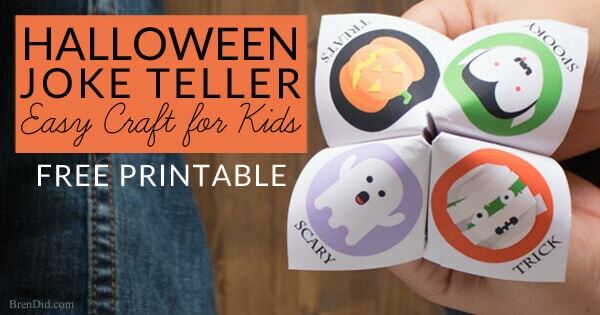 Halloween Joke Tellers are full of silly jokes perfect for classroom parties or non-candy Halloween treats. 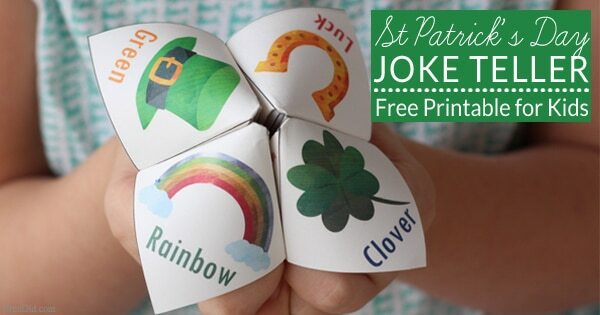 Saint Patrick's Day Joke Tellers are a great non-candy classroom treat or lunchbox surprise. 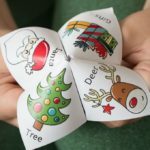 I used these and the Christmas ones at a kids’ party. They were a hit! As soon as the kids figured out what they were making, they loved it. 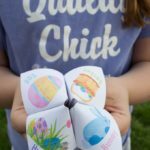 Thank you so much for the cute, creative printables. 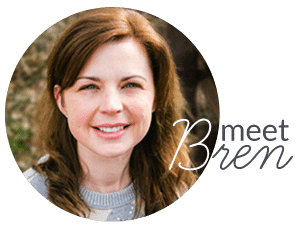 I’m linking to your site from mine, where I tell about our party. Thanks, Erin. I’m so glad they were a hit! JokeTellers? 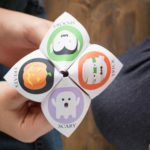 Cootie Catchers? I never really knew the name of these….. 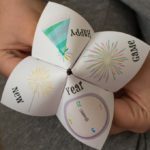 I just used this as a holiday activity for my third grade ESL students. They LOVED making them!!!! Thank you!!! Thanks, Shelly! I am so glad they were a hit with your class! I was blessed enough to have stumbled upon this evening on Pinterest! I printed 2 joke tellers for my ist grade for tomorrow. Thank you. I’ll be back. I also printed out the Asian Cucumber Salad…I can’t wait! Thanks, Larena! Hope your students enjoy!